Manhattanhenge — named after the spectacular sunset at Stonehenge in the U.K. — happens twice a year. The setting sun aligns with the not quite east-west direction of Manhattan’s cross streets, here seen along 33rd St and the Empire State Building. 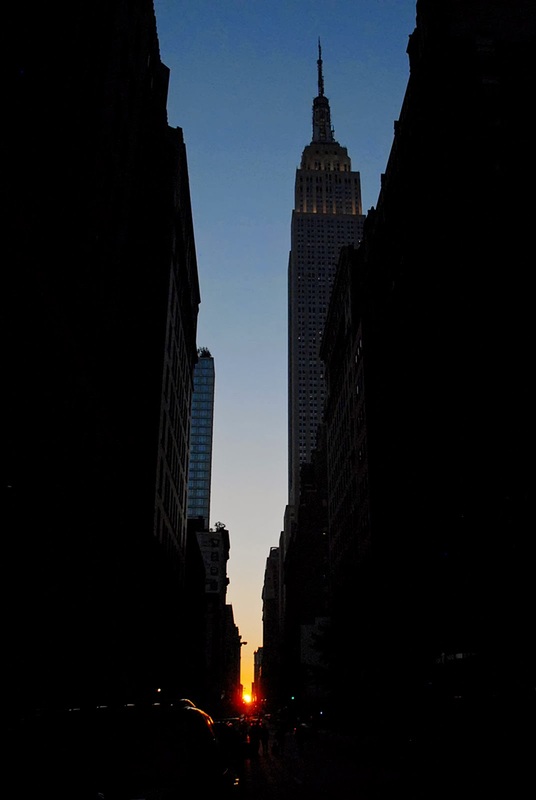 Cross streets following the Commissioners' Plan of 1811 are laid out in a grid offset 29.0 degrees from true east—west — meaning that Manhattanhenge usually falls around May 28 and on July 12 or July 13 — on either side of the summer solstice.